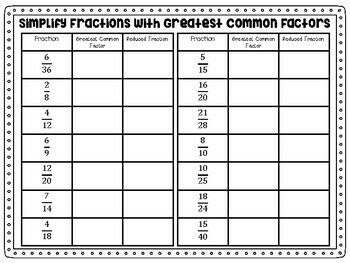 This resource will help students with learning how to reduce fractions by working in a Math center with the puzzle pieces. 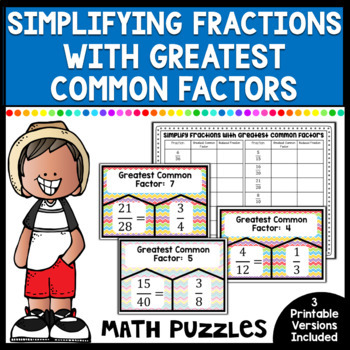 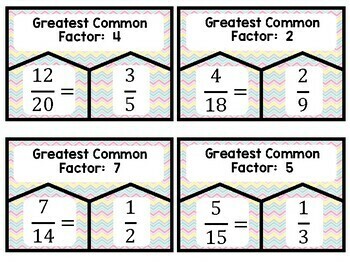 This contains 14 sets of puzzles with 3 pieces each containing the greatest common factor, the fraction, and the reduced fraction to be matched together as a set. 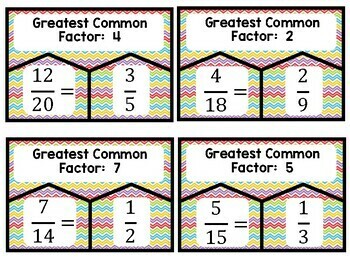 Also included is a front to back worksheet to be completed with the center if you choose.